Continuously build your skills with O’Reilly. 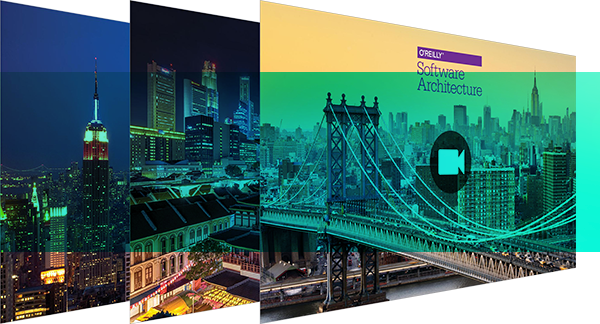 Whether you want to quickly solve a problem, master a new skill, or build expertise in the mission-critical topics you need for career advancement, O’Reilly helps you future-proof your career. Don’t just take our word for it—let our members tell you how O’Reilly helps them focus on the topics that matter, so they can build the knowledge and skills they need to stay ahead of the curve. You’ll find content from former US chief data scientist DJ Patil, former vice chair of General Electric Beth Comstock, Harvard Business School professor Clayton Christensen, and Google director of research Peter Norvig. Plus, our online learning combines O’Reilly-crafted content with the best from providers like Harvard Business Review, Pearson, and Packt, so you can get all the knowledge your organization needs to succeed, all in one place. Have a favorite learning format? Take your pick. 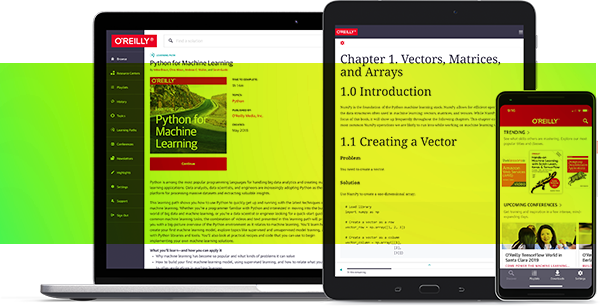 O’Reilly online learning has book, video, audio, and interactive content to deliver information that meets the needs and preference of all learners in the organization. Instructor-led live online training courses on the most important topics in business and technology and interactive tutorials, where employees can apply what they’re learning in real time, give you effective learning experiences you won’t find anywhere else. Playlists allow you to design a completely customized list of exactly what you want to read, watch, or listen to—from your favorites to topic-centric collections and this weekend’s reading list. 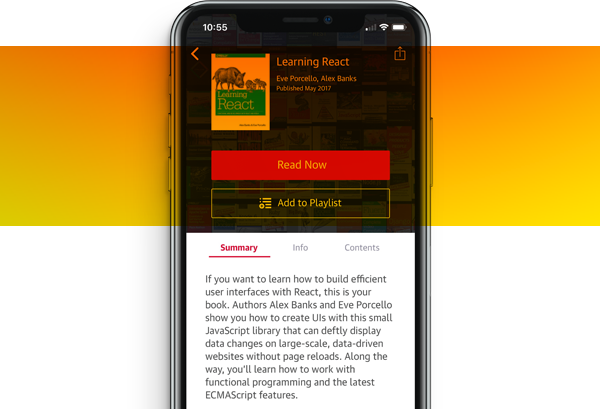 Whether they include short clips and chapters or longer content from one of our 200+ partners and publishers, playlists make it easy to reach your learning goals. See something you want to return to later? Your playlists are fully synced across all your devices, so you can build and manage them on web or mobile without missing a beat.